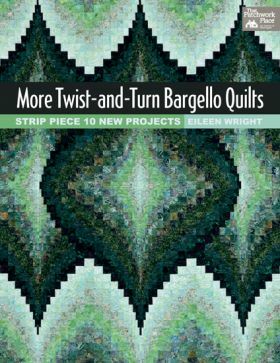 The demand for a second book on Bargello quilts by Eileen Wright proves that her first one was a hit. She continues to take the fear out of the piecing and technical layout of a Bargello with clear instructions and wonderful illustrations and photography. 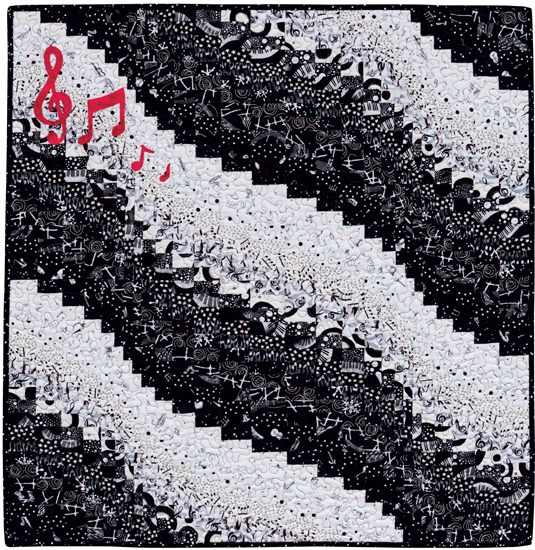 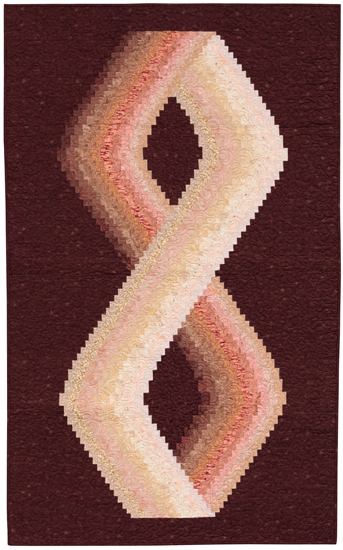 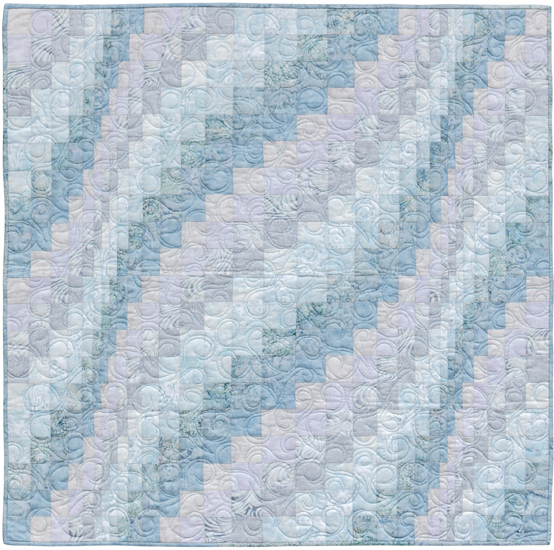 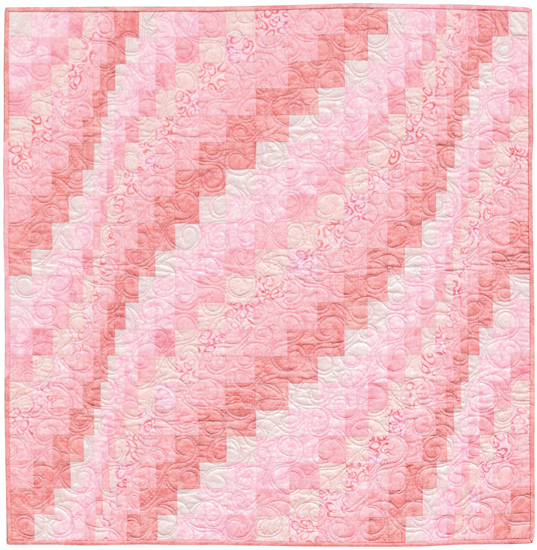 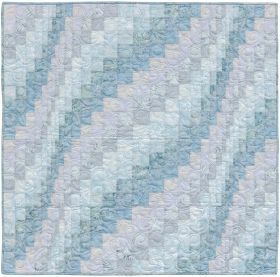 A must have for any Bargello quilt lover! 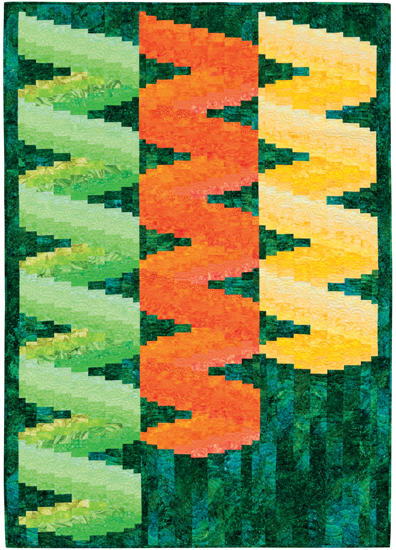 Eileen Wright is back with more beautiful Bargello! 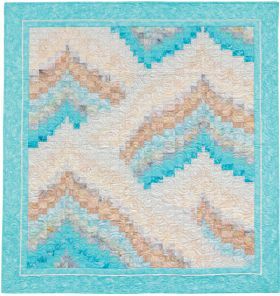 In her second book, Eileen offers up ten new projects ranging from baby quilts and bed runners to queen-size quilts, along with her simple and precise instructions for fabulous results every time. 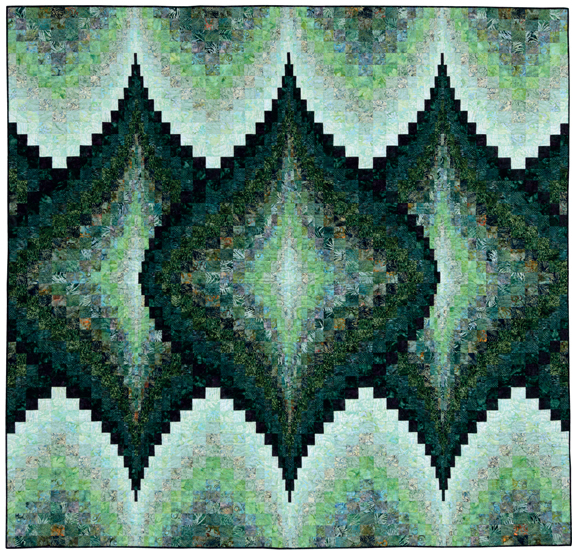 Wow, the quilts in this book are amazing. 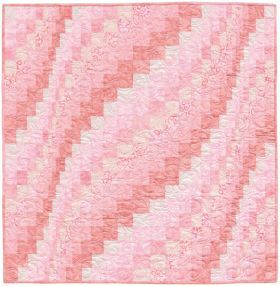 Eileen shares all her tips for selecting fabrics and accurate piecing to create stunning Bargello quilts. 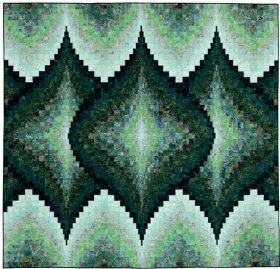 The 10 patterns included are incredible, plus there is a gallery of inspirational Bargello quilts. Bargello quilts have long been popular with quilters, and this stunning book by veteran quilt teacher Eileen Wright does not disappoint. 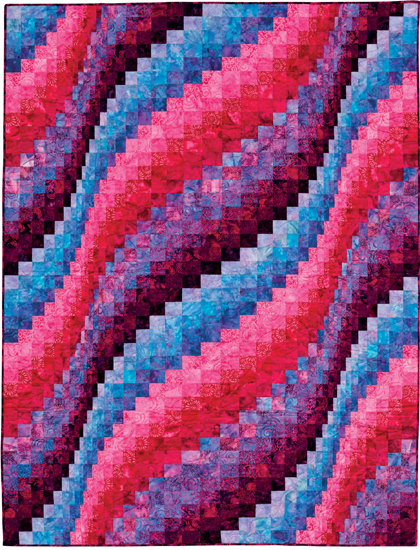 Succumbing to the demands of her fans, Eileen designed ten new strip-pieced projects in this sequel to her ever-popular book, Twist-and-Turn Bargello Quilts. The designs, which appear to undulate and bend in fascinating ways, seem to be somewhat daunting at first. 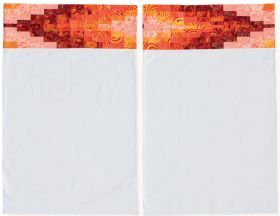 However, Eileen's organized quilt-by-number technique, which utilizes numbered charts, is easy to follow and takes the guesswork out of the process. Ranging in size from baby quilts to bed quilts, this book is recommended for intermediate and advanced-level quilters. A sewer and a knitter since she was eight years old, Eileen Wright has always worked creatively with needles and threads of some kind, working her way through most needlecraft hobbies over the years. 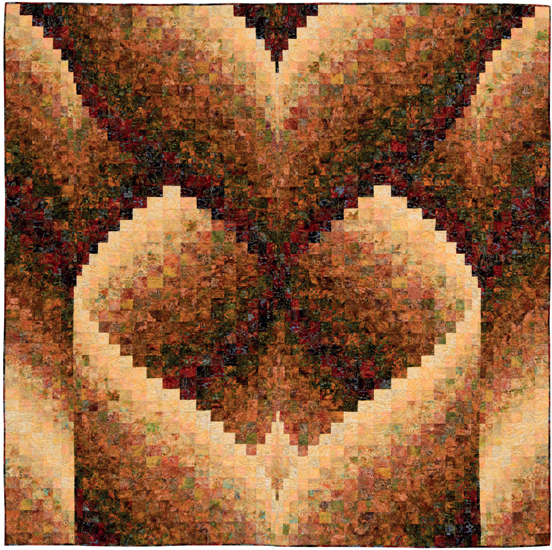 She feels indebted to her maternal grandmother, Cynthia Rassmussen, for passing on her talents and love of being creative. Vancouver Island in Canada has been Eileen's spiritual home since her very first visit, and she feels fortunate to have been able to live there for almost 20 years. 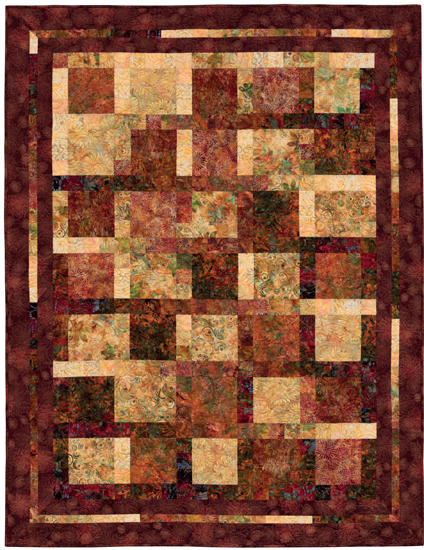 She fills her days with designing and creating quilts. Eileen shares her condo with three Pfaff sewing machines, a huge fabric stash, and some green growing plants--all of which provide her with all the serenity she craves. 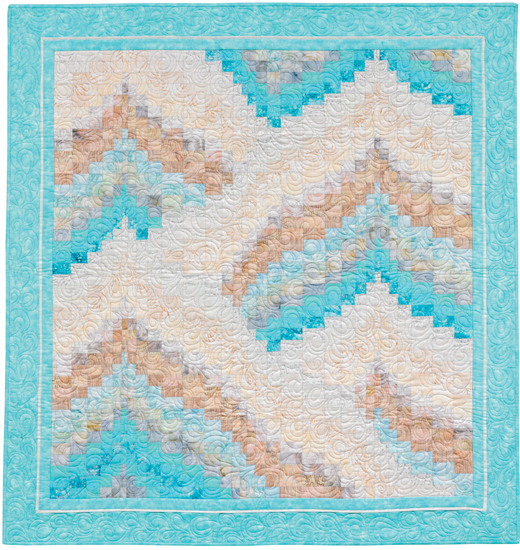 Huge skylights allow the sun to shine on her workspace, and an ever-changing view of the ocean and distant mountains often inspires various quilting projects.